Register now. 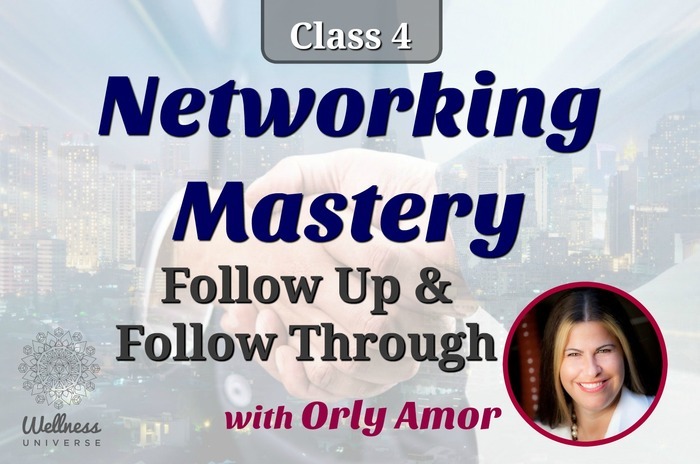 Join us for the Networking Mastery Course with Orly Amor. During these 6 classes you will learn skills and tactics that will allow you to create a powerful network, build relationships and give value creating more influence for yourself and be remembered for your area of expertise creating more referrals and clients. Your net WORTH is in your NETWORK.